OMD UK has landed Lidl's estimated £70m strategic media planning account after a competitive review. Lidl moved both the planning and buying to Starcom from Omnicom’s now defunct agency M2M in 2015. The German discounter signalled it wanted to take a fresh approach to its media planning earlier this year, after saying that it was reducing its spend on digital media because it has delivered a poor return on investment. Claire Farrant, marketing director of Lidl UK, said: "The team at OMD UK demonstrated a passion for our business combined with media expertise and creativity. "Their insights, strategic vision and ideas will make them a valuable complement to our team and we look forward to working with them on the next phase of our growth." Sam Gaunt, head of media, and Stephen Dawes, senior media manager, at Lidl UK led the pitch process. They said: "OMD showed a real commitment to working in partnership with our team at Starcom to combine best in class planning and execution in our media." Dan Clays, chief executive of OMD UK, said Lidl was going through "a hugely exciting time" as "they continue to disrupt the British retail market". He went on: "We very much look forward to working with Lidl and their agency partners to further develop the communications strategy and the role media plays for their business." Separating planning and buying is unusual. Mars uses different agencies and Deutsche Telekom took its media strategy in-house last year because the German brand said it wanted to be "in the driving seat" when it came to planning. Gaunt knows OMD UK well after working at the agency for six years, before joining Dentsu Aegis Network in 2014 and Lidl in 2015. Lidl, which has been expanding aggressively and has 700 stores and over £6bn in annual UK sales, claims to be Britain’s fastest-growing supermarket. Lidl overtook Waitrose last year to become the UK’s seventh biggest supermarket and it now has a record 5.4% market share, behind Tesco, Sainsbury’s, Asda, Morrison’s, Aldi and Co-op, according to Kantar Worldpanel data. Lidl spends £70m on media annually in the UK, according to Nielsen estimates. TBWA\London handles Lidl's creative account. 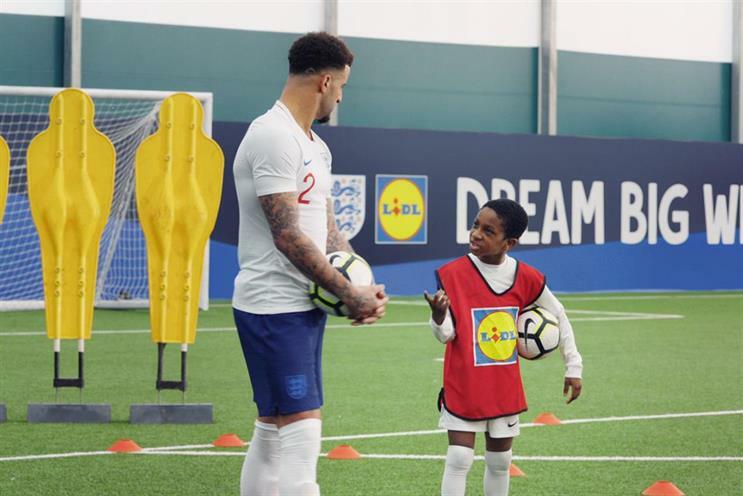 Last month the agency created ads for the "Dream big with Lidl" campaign that celebrates the brand's three-year partnership with the England football team ahead of the Fifa World Cup.